A bullet journal is a customizable system that lets you organize your life while expressing your creativity. Often abbreviated as BuJo, the bullet journal system became a social media sensation after being created by digital product designer Ryder Carroll. Pages are often shared via Instagram and Pinterest, with bullet journal enthusiasts showcasing their favorite layouts and planning tips. The basic supplies you need to create your bullet journal are quite simple. As a scrapbooker, you may already have most of them in your craft stash. Blank journal: Choose a journal with a sturdy cover and quality paper. You can use blank, lined, or dotted grid paper, depending upon your preference. 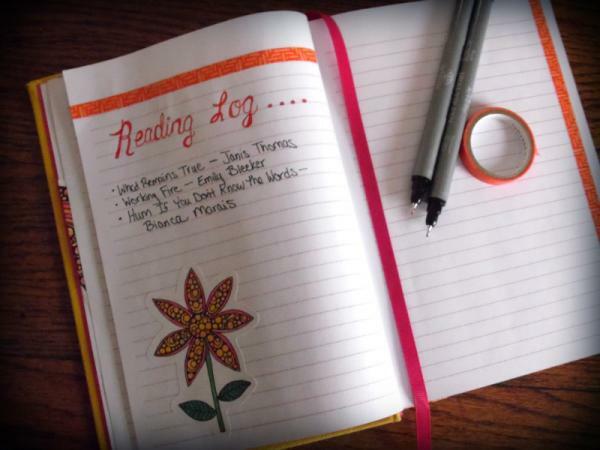 A journal with an included ribbon bookmark makes it easy to keep track of what page you're using. Pens: Fineliners or gel pens are perfect for bullet journaling, since they come in a wide range of colors. Sticky notes: When you want to make tentative plans or need extra space for writing, sticky notes are the perfect solution to customizing your bullet journal. 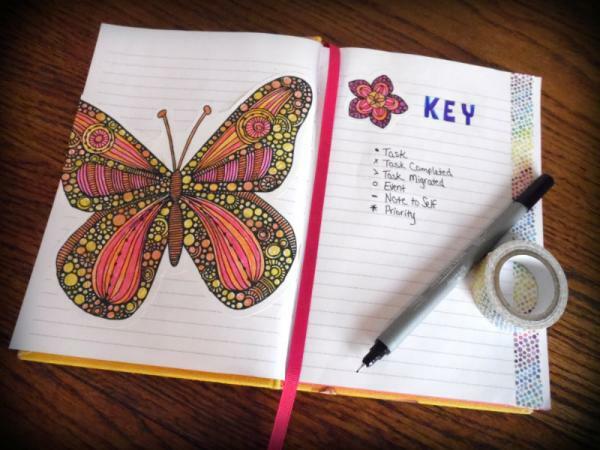 If you plan to color code your journal, consider keeping several different colors of sticky notes on hand. Washi tape: Patterned washi tape can be used for indexing sections, adhering items, or just adding a decorative touch. Stickers: Pretty stickers are an easy way to embellish your bullet journal. They can also be used to cover up any mistakes you might make while creating your pages. If needed, you can add your own symbols to the basic key. For example, you might want to note items that pertain to your husband and children with a heart icon or track home business items with a triangle. Bullet journal symbols are used primarily in your daily or weekly log, but can also be part of your monthly and future log entries. Most of your entries will involve the solid circle and empty circle bullets, although the dash for note taking may be a helpful symbol if you have ongoing projects and need a place to jot down important ideas as they come to you. Your index is the second section of your book. An index helps you keep track of the different pages in your bullet journal. The index should be left blank at the beginning with different entries added as you complete pages in your journal. The daily or weekly log is the core component of the bullet journal system. 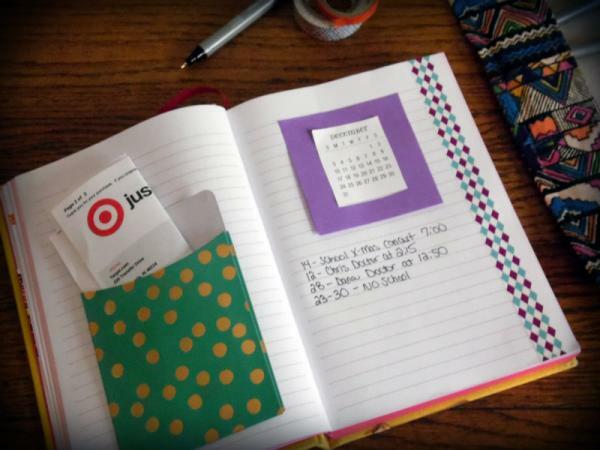 This is where you keep track of appointments and items on your to-do list. You can put your daily or weekly log right after your index for easy reference or start it after your collections pages. The number of pages you need for this section depends upon how busy your schedule is. You may need a full page for each day, or you may be able to track an entire week in one two page spread. Play around with different layout formations until you find one that works for you. The beauty of a bullet journal is you're not locked into one specific format. A monthly log lets you see your schedule for the month at one quick glance. Monthly logs often include sections for special to-do lists, goals, and birthdays or anniversaries. Adding a small calendar to this layout will make it easy for you to keep track of everything you need to accomplish. Put your monthly log after your daily or weekly log. Including a pocket in your monthly layout may be handy if you plan to use your bullet journal to keep track of meal plans, gift lists, or your child's school schedule. The pocket will provide an easy place to store receipts, permission slips, and more. Your future log is where you can keep track of events that are scheduled several months in advance. This may include birthdays, anniversaries, holiday celebrations, or family vacations. However, if your monthly log is quite detailed, you may opt to skip the future log all together. 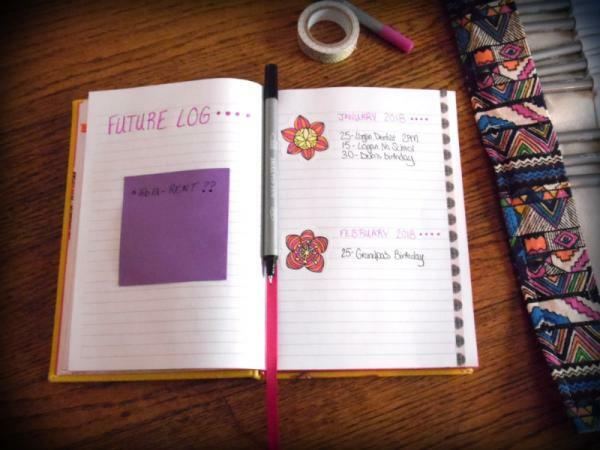 Your future log should be towards the back of your bullet journal, since entries from this section will be transferred to a new journal when you run out of space to write. If you often have future plans that are only tentative, consider leaving space to jot down reminders of these events on a sticky note that can be easily removed if plans change. To avoid becoming overwhelmed by your bullet journal, it's best to begin with one or two collections. Remember you can always add additional pages at a later date. 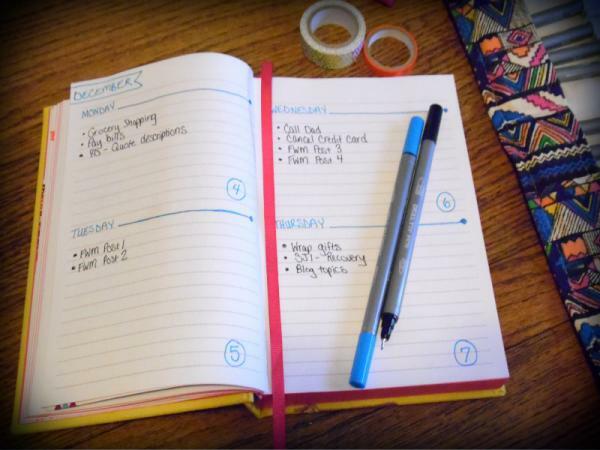 Collections can be placed in the front of your bullet journal or after your daily or weekly planning pages. The best location depends upon how frequently you anticipate adding to your collections. 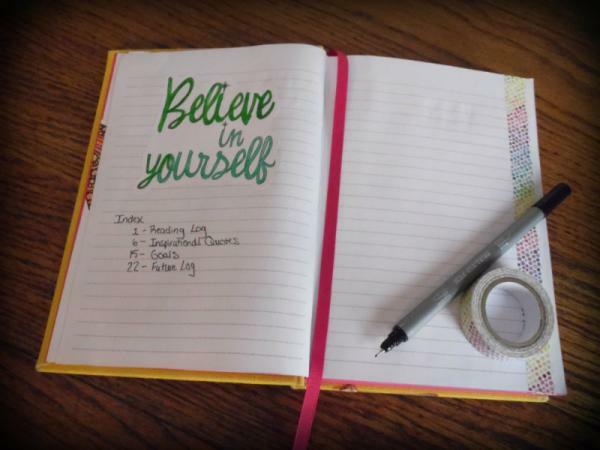 Bullet journaling naturally appeals to scrapbookers because the system can incorporate a range of paper crafting techniques. Depending upon your interests, you could use your journal as a place to doodle, paint, rubber stamp, or practice your calligraphy. Your journal can be as simple or as elaborate as you wish, so don't be afraid to experiment!